DIY : Chain Lubrication - Pulsar 220 | IAMABIKER - Everything Motorcycle! Nothing is mere essential in Chain driven motorcycles than the chain itself. Several types of chains are used depending on usage, terrain and how efficient power requires translation to the tarmac. Lubing is essential to keep your chain in good condition, to reduce friction and jamming of the same, and for a smoother ride. Place bike on center stand/ paddock stand. Slot the bike into 1st gear (you should see the rear wheel rotate as the drive chain engages). 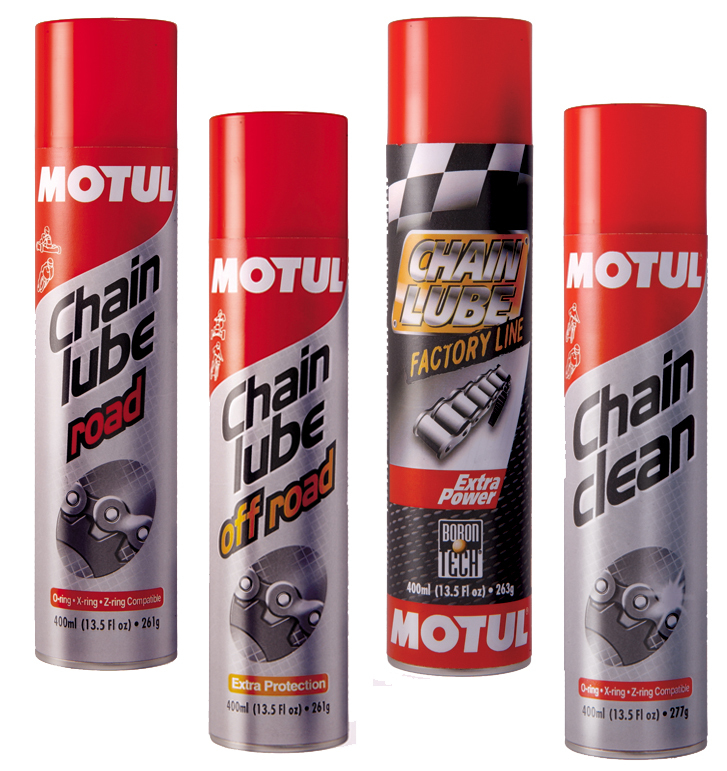 Keeping the nozzle of the spray at an appropriate distance from the chain, spray the lube onto the chain for a couple of seconds. Repeat the process 2-3 times keeping a minimal gap of ~5seconds until you visually ensure that the chain is lubed enough, neither less, nor in excess. Clean the bike’s rear disc to remove traces of lubrication spray (this might hamper effective braking). Wear safety gloves to keep away harmful lead particles. Chain spray bottle should have the long nozzle connected for efficient spraying. Ensure that the bike’s rear tire is off the ground by atleast 2-3 inches before slotting the bike into gear. Do not ingest chain spray fume. Keep nozzle away from the chain. The recommended spraying distance is ideally written on the bottle. A clean and tidy job leads to self satisfaction under safe conditions.